Looking for the hottest styles this summer? Oasis is just what you need! Perfect for a day at the beach, or just something casual in the warmer weather. 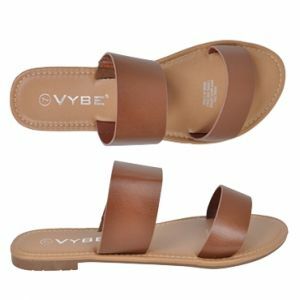 This on trend cross slide is easy to slip on and slip off by the poolside too. With a comfortable and flexible sole, Oasis is simple, chic, and the latest in fashion. Whether you’re in the mood for denim shorts or printed skirts, slide into Oasis this summer, add some sunnies or statement earrings, and you’ll be in business!